My invention In a nutshell is a CD can not be copied at all and from now and on any software producer company when it sells CDs it does not need the law to protect its products specially in third world countries like china, India, and Hong Kong etc the CD will be uncopyable at all even if Microsoft put a thousand year long project to copy one CD it will fail. This invention is the final solution for this problem. 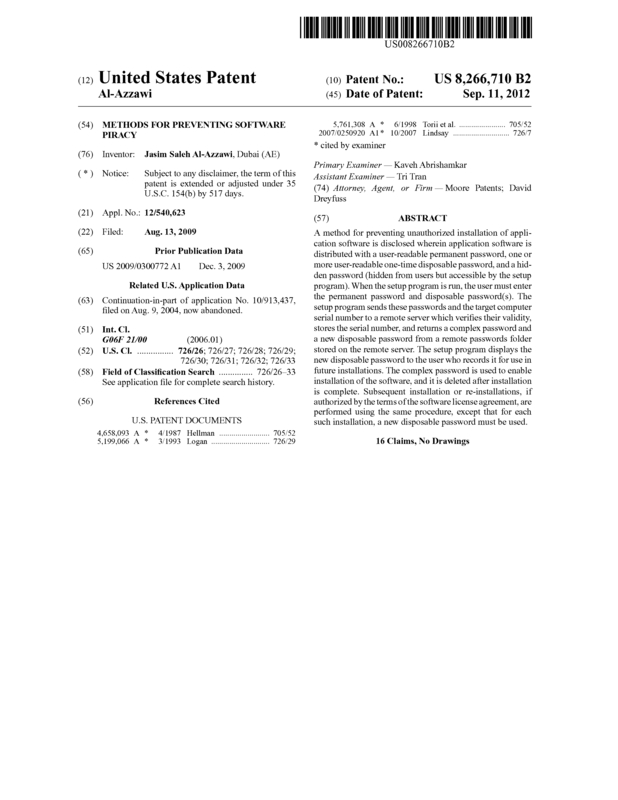 Page created at 2019-04-25 19:59:32, Patent Auction Time.